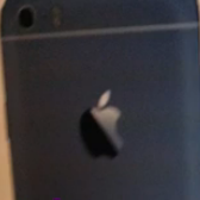 This is apparently a spy shot of the 4.7-inch version of the iPhone 6 (iPhone Air). It will apparently have the antenna on the back instead of around the edges this time. Looks a bit like the HTC One but not as rounded (fortunately, because that is ugly to me).